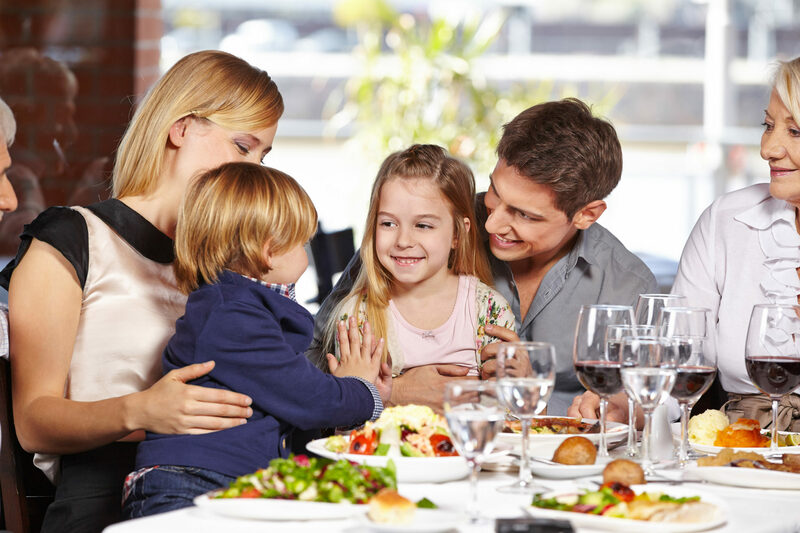 Kids have a great deal of influence on their parents’ decision of where to eat out. So, it is critical that restaurant operators must appeal to their young guests with attractive and amusing mealtime essentials. 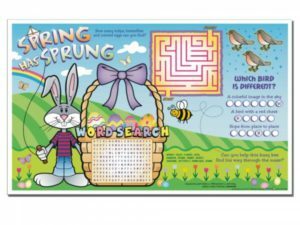 If the children can be engrossed with the colorful pictures, exciting puzzles or fun menus and placemats, they will have a much better experience and also will not disturb the parents who can enjoy a quality time in your restaurant. 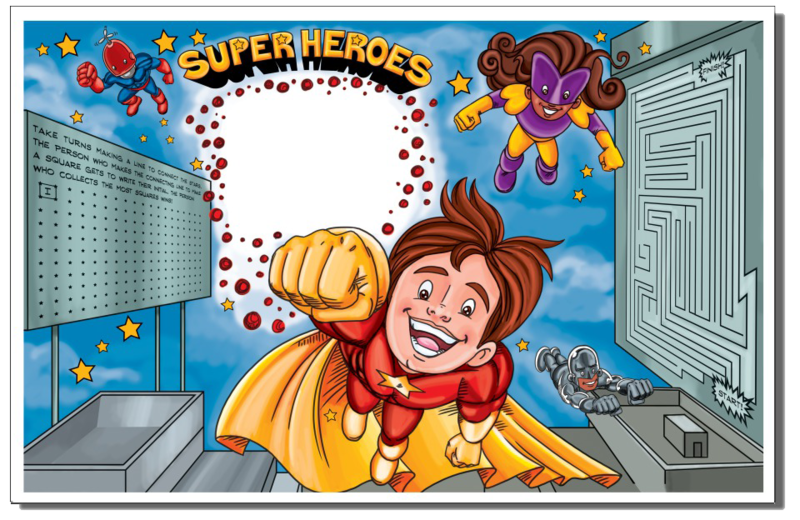 Kidstar brings to you a whole new range of kids-friendly products for restaurants such as placemats, cups, activity books, soybean crayons, etc. in various interesting themes of adventure and fantasy tales. 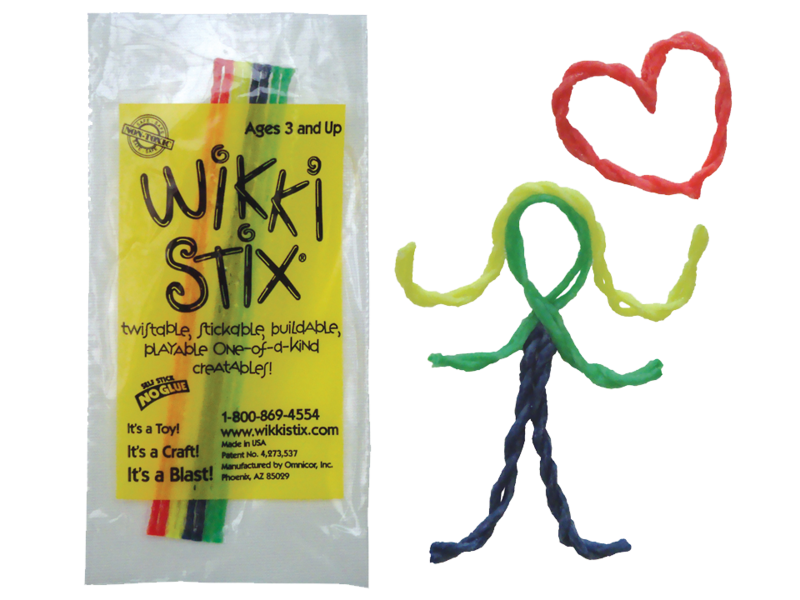 These amazing kids products will keep your kid customers not only occupied but also happily entertained. 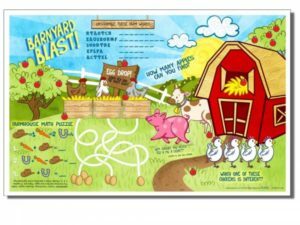 With our environmentally-friendly, easy to grip and hard to spill products, Kidstar is the most well known, reliable, affordable and safest source of restaurant supplies for kids items. 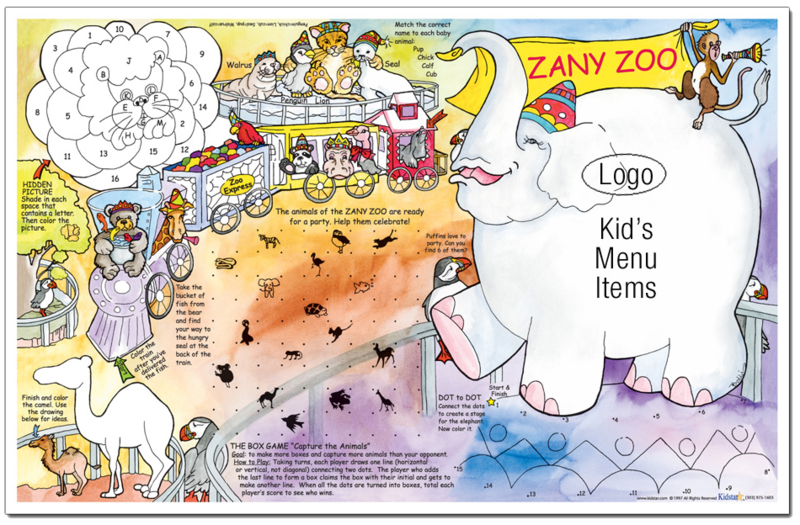 So, quickly order these fantastic products to bring a wide grin to the faces of your little diners visiting you regularly or for any children’s program in your hotel and restaurant. 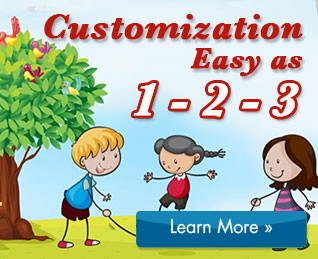 Kidstar offers a wide variety of designs to choose from. There is a customizable area included on each piece. Prices start as low as .085 per placemat. 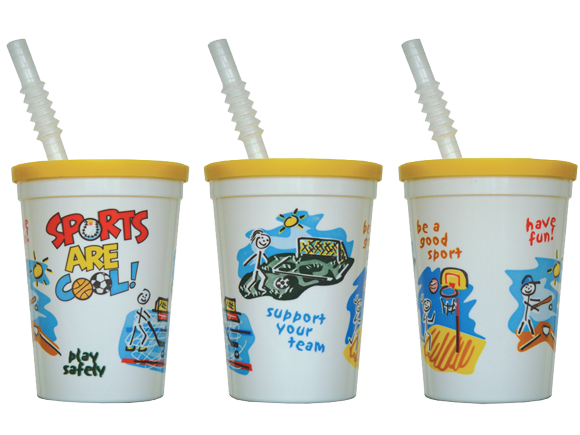 Kidstar offers a wide variety of kids cups made to fit any specific need. 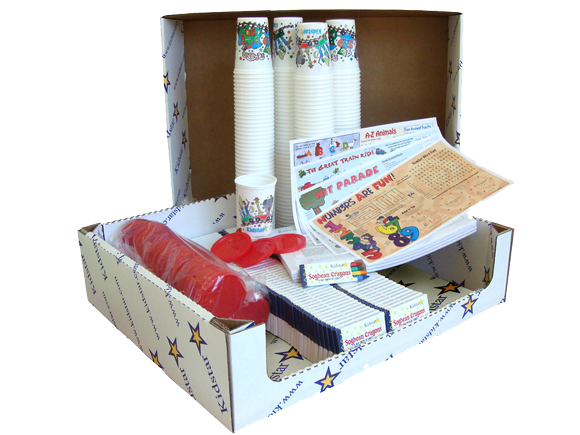 Kidstar kids cups are manufactured with a variety of materials ranging from Injection Molded Plastic to Paper. Prices start as low as .093 per cup/lid. 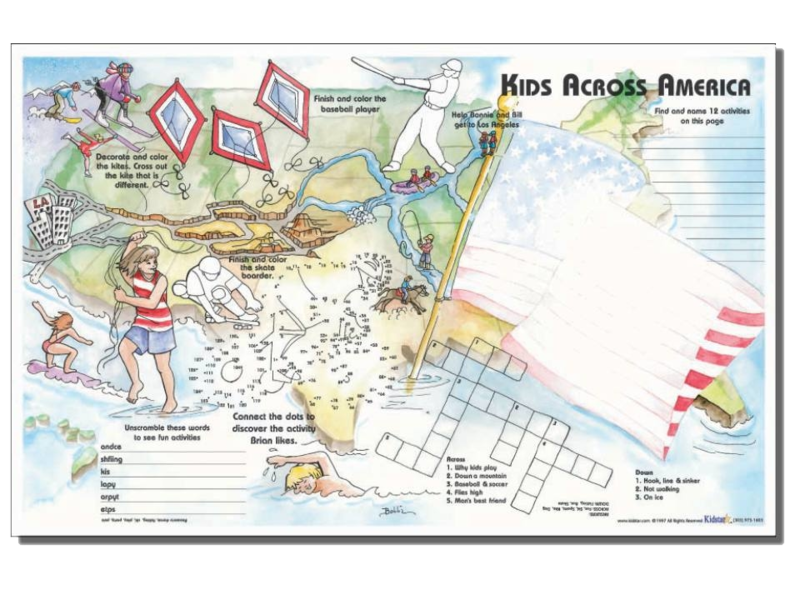 We have many 4 page and 8 page coloring booklets. 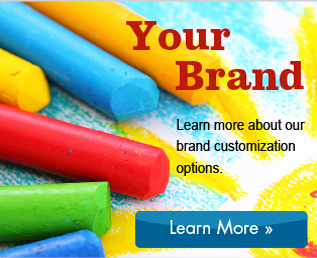 All designs are customizable for personalization. 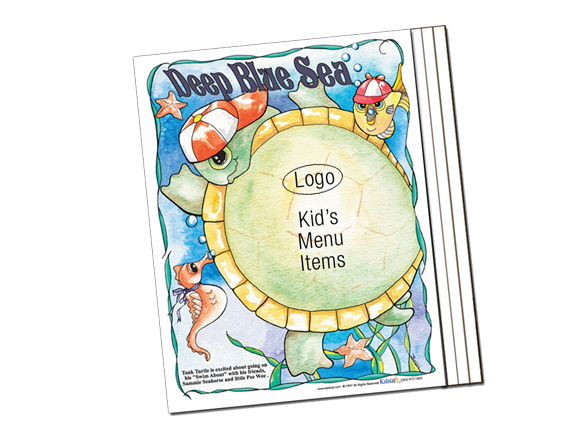 Prices start as low as .088 per booklet. 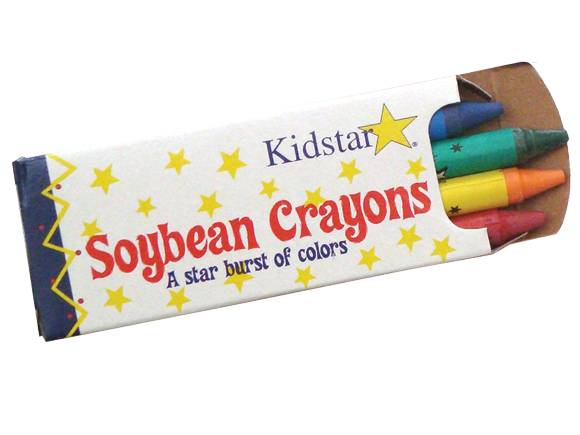 All of our crayons are made with soybean oil and are completely safe for children as well as the environment. Prices start as low as .029 per crayon. Our Kidstar Combo Packages come complete with everything you need to entertain your young guests, all in one box. 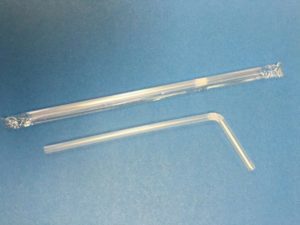 These Combo Packages are perfect for small bars, restaurants and other related businesses. 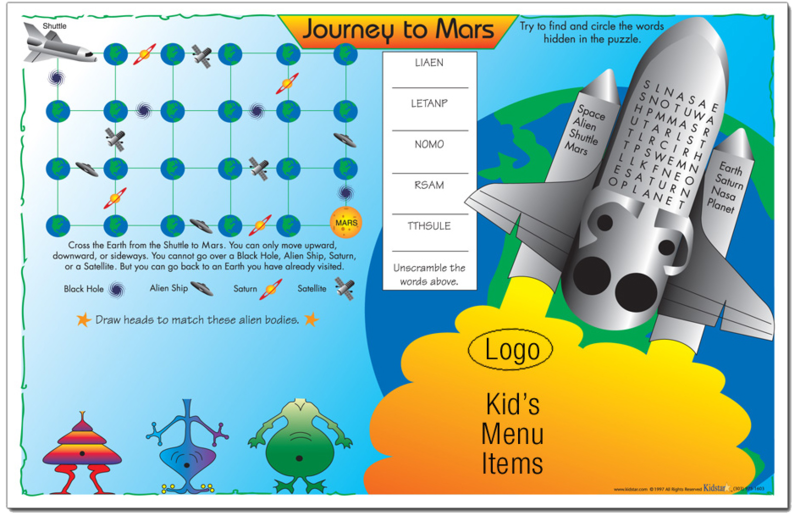 Kidstar is extremely proud of the products provided to businesses in the community. 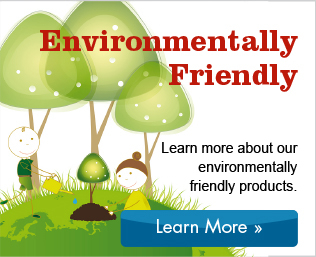 There are additional products available to keep your young customers happy so don’t forget to take a look around!